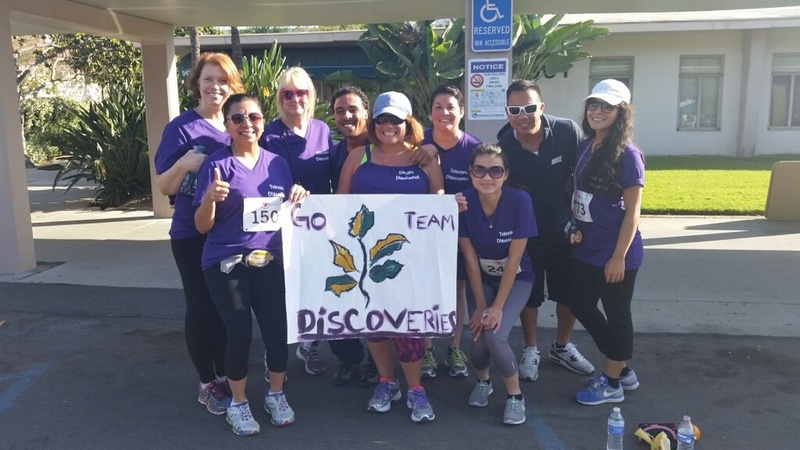 The Discoveries team is involved in many community events throughout the year. 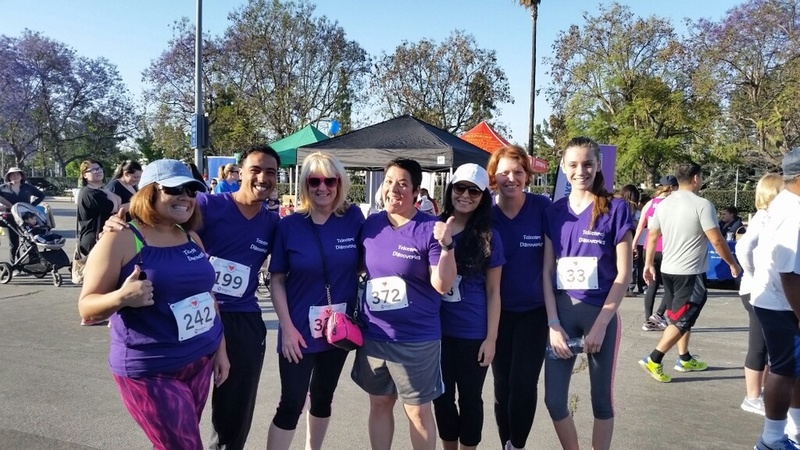 A few ago, TLC of Downey, an agency that refers clients to us, was having their annual 5k walk/run, so I suggested we join in (thinking all the staff would laugh). To my surprise, the Discoveries team all signed up, made a banner, and designed a t-shirt! Staff even trained for it, so now we have staff jogging time frequently, and they want to do more 5k’s. One staff member registered for her first 1/2 marathon in October!